In the first part of the this post between machines and free weights I talked about the safety aspects between the two different training types. Aside from the safety thing, the other big debate around machines is if they are as effective as free weights at building strength and muscle. Like I pointed out before the definition of a machine is to make work easier. In the gym to make muscles grow and get stronger you don’t necessarily want to be making things easy. Lets first take a quick look at how muscles grow. When put under stress, tiny parts of the muscle can become damaged, providing the stress is high enough. Here is quick video to reiterate my information above. When you keep repairing your muscles bigger and stronger you need to keep increasing the intensity by increasing the weight or reps or sets or time under tension to continue cause damage to the muscle so that it will continue to build up bigger and stronger. If your body can lift something easily then there is no reason for it to build up bigger and stronger. So there need to be enough stress to cause the damage. Working with free weights can be more challenging. The weight that is on the bar is the weight you are lifting. Compared to a machine where the weight may be reduced depending on the number of pulleys it goes over or if it is on a leaver system of incline plane it can make the exercise easier. This goes back to the number of pulleys the cables go over or the angel the machine is on or the length of the lever arm of the machine. I won’t go into that any further. If you ever work out on different machines or in different gyms with different machines most people find there is a little difference on how much they can lift because of the difference in designs. When using free weights you do need to use a lot more stabilizer muscles in order to do the exercise correctly. This can make the exercise seem more difficult because you are recurring more muscles to stabilize therefore using more energy. This involvement from stabilizer muscles is why free weight exercises feel harder. Having to use a lot of energy to balance weights instead of using that energy to just execute the movement. 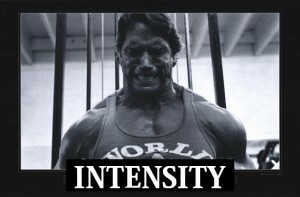 To increase the intensity on a machine just increase the weight. just like on any exercise if you can do the desired number of reps and sets with ease then you are not using enough weight. To increase the intensity add more weight this will increase the stress on the muscle and cause the damage you are seeking for muscle growth. Free weights also allow you to cheat a bit more when you are working out compared to machines. It is still possible to cheat on machines but seems to happen more with free weights. Cheating is usually where you swing your body and swing the weight a little (or a lot) to help move the weight. Advanced lifters use this for increasing the tension the muscle is under or bringing the set past failure. 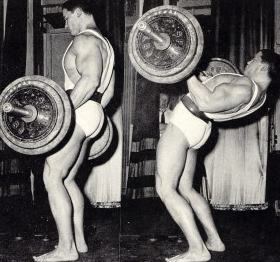 Some younger lifters use it for their entire set just to move heavy weights. More of an ego thing than anything else. It is an advanced lifting technique and can be quite dangerous if done incorrectly. With all that taken into consideration your muscles can’t tell the difference between a machine or free weights. 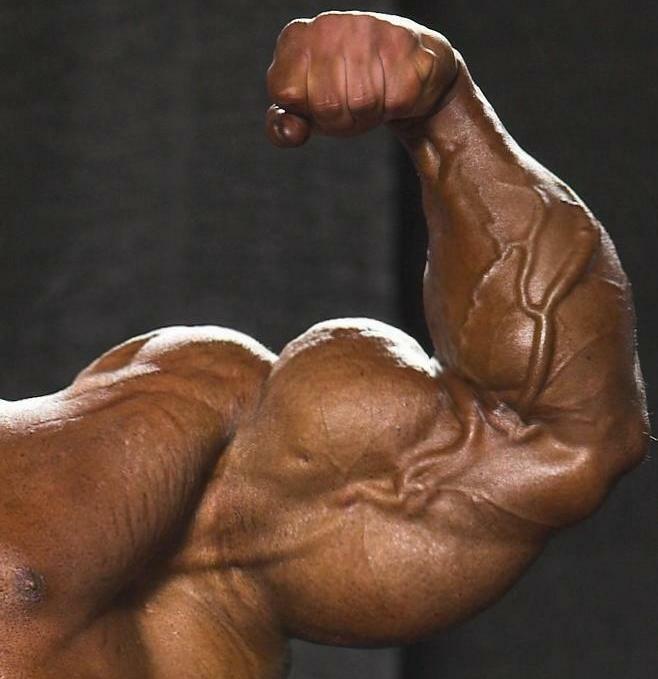 If you compare a bicep curl with a barbell and a bicep curl on a machine your body can’t tell the difference. If the intensity is high enough that you cause damage to the muscle using the barbell or the machine the end result will be muscle growth. When planning a resistance training program it is good to mix it up and have some variety in your programs. Use a variety of machines and free weight exercises in your program to keep things fresh and interesting. I personally like to add some machine work into my program especially at the end of my routine. This will increase the safety factor because I may be tired but still allows me to use enough weight to stimulate muscle growth and still remain safe. By putting machines at the end I am able to use all my remaining energy into the exercise and not have to worry about trying to stabilize heavy weights if I am already tired.